Do you plan on making the switch to online training? Have you been considering whether it is more cost-efficient to do it in house or outsource it? In this article, I will highlight the top 5 benefits of eLearning outsourcing to help you through the decision-making process. Investing in a corporate eLearning course offers a variety of advantages. Corporate eLearning improves learner engagement and allows for greater accessibility. However, you need to find the most effective way to optimize your corporate eLearning ROI. Do you already have a talent pool in your company to draw from? Or do you need to hire an eLearning content development team to undertake the task? Many organizations outsource their eLearning program to save time and money, as deploying a corporate eLearning course can be rather daunting in terms of manpower, expertise, and cost-efficiency. If you're nodding your head in agreement, then let's look at these 5 eLearning outsourcing benefits. Perhaps you already have an excellent in-house eLearning team in place who possesses many of the skills that you require. However, in some cases, your Learning and Development staff may have limited knowledge of eLearning course design. 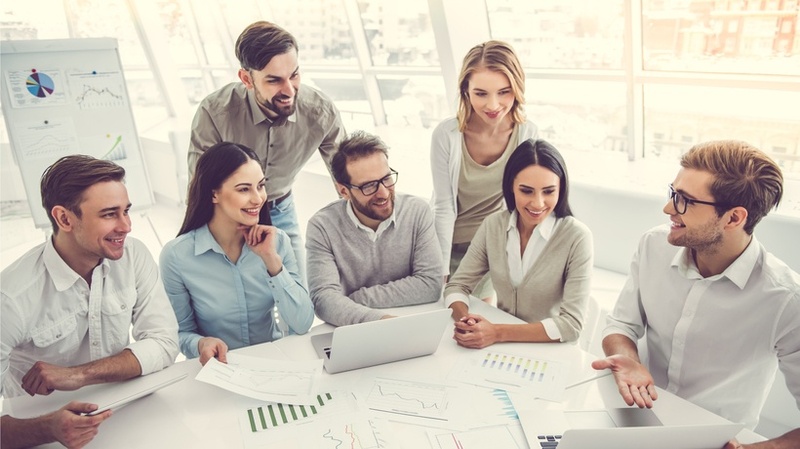 Hiring an in-house eLearning team solely for the purpose of developing a corporate eLearning course could cost you a great deal of money and resources. As such, you can tap into the expertise of an outsourcing partner whose sole business is to specialize in creating, developing and maintaining eLearning courses. Therefore, an eLearning company will likely have graphic designers, software developers, curriculum developers and evaluation programs at the ready. All of these eLearning professionals know about the latest eLearning trends and how to cater to individual learning needs. In some instances, they may even be able to research the topic and curate eLearning content. As a result, your organization doesn't even have to provide the raw materials. You can spend your time more productively by simply fine-tuning the finished product, rather than starting from scratch. Finding an eLearning outsourcing company that has a proven track record can help you develop a corporate eLearning course in a shorter time span. Most eLearning content development companies are well-versed in what organizations need for corporate eLearning. As such, you may only need to provide them with your learner research data so that they can create personalized online training content. The key is finding an eLearning content development company that has the processes and systems that mesh with your company's requirements. For example, they are able to meet your required deadlines and are willing to provide regular updates. That way your own staff won't have to worry about troubleshooting or roll-out concerns. Instead, they can help to promote buy-in and get corporate learners excited about the launch. You may have a very talented in-house eLearning team who's able to develop an amazing corporate eLearning course. However, were they originally hired for this purpose? Or would they need to divide their time and energy between their job duties and Learning and Development tasks? An outsourced eLearning company will allow your eLearning team to continue to perform their usual work responsibilities without any added stress, frustration, or pressure, since they will take charge of creating the best online training content for your corporate eLearning course. Once the corporate eLearning course is up and running, the eLearning company may even be able to maintain the system and update your eLearning course periodically. Your organization probably has varied needs for corporate eLearning, especially if you're operating on a global scale. These needs depend greatly on the local culture, customs, languages, and regional regulations. An outsourced eLearning company has the ability to diversify your corporate eLearning program for each location. They can serve as a central hub where all the required online training content is stored, then gets disseminated based on localized needs. Furthermore, an eLearning company has the advantage of conducting surveys or making objective observations of the productivity levels. For example, gauging learner satisfaction or identifying areas for improvement. Furthermore, they can ensure that your corporate eLearning courses stay up to date in accordance with the ever-changing technology and top trends in your niche. Last, but certainly not least, there's a significant increase in corporate eLearning effectiveness. Particularly if you find an eLearning outsourcing partner who is an expert in the field and is well-versed in Instructional Design models and theories. These eLearning professionals are able to create targeted online training materials that translate into practical knowledge application. As such, corporate learners get more from the online training experience and are able to achieve the desired outcomes. Some eLearning companies may even be able to help you through every step of the process. From researching your corporate learners' needs and goals to conducting follow-up surveys to pinpoint eLearning course design strengths and weaknesses. Of course, all of this is summed up into what is most important; cost-efficiency. You're relying on eLearning professionals who have a wealth of expertise, experience, and insight. As a result, you're getting a high-quality finished product that is backed by knowledge, skills, and talents. eLearning outsourcing benefits also involve faster turnaround times, which means that your corporate learners can reap the benefits of your corporate eLearning course without further delay. Finally, eLearning outsourcing allows for your company's online training needs to be met on an international or multi-branch scale. Thus, diverse local needs can be addressed more efficiently in order to maximize learner engagement. eLearning outsourcing may require an investment. However, it often leads to higher returns, thanks to the fact that your organization can produce a personalized, engaging, and memorable corporate eLearning course without wasting in-house resources. Every member of your eLearning team can use their own unique talents and expertise to fulfill their work duties, instead of stretching their time and energy too thin, while the eLearning content provider plays their part to develop and deploy high-quality corporate eLearning courses. Are you considering hiring an eLearning vendor, content creator, or consultant in order to reap these rewards? 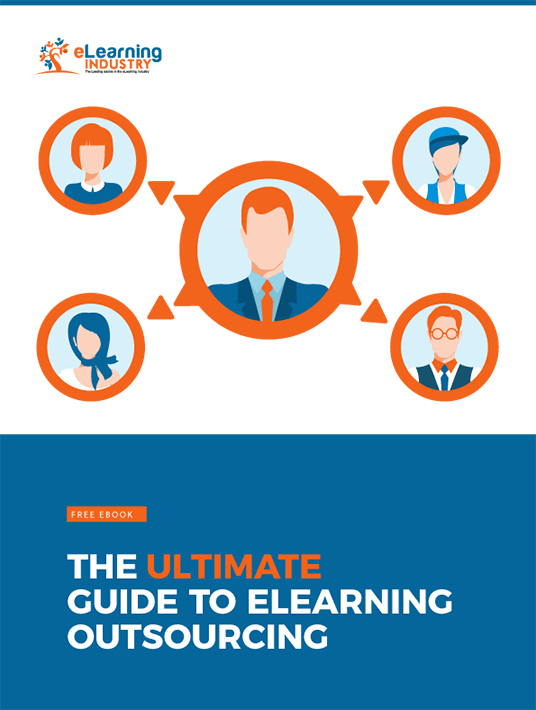 Download our Free eBook: The Ultimate Guide To eLearning Outsourcing to learn all the details about your next eLearning outsourcing project.